100% pork. Ideal for lunchboxes. Smoked pork salami sausage. Protein Kick? ? High in protein. 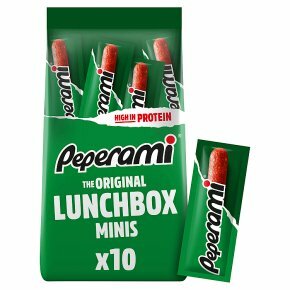 30% less fat* *than standard Peperami recipe.